makeup ingredients | Victoria Rowe's Hollywood Makeup Tips! 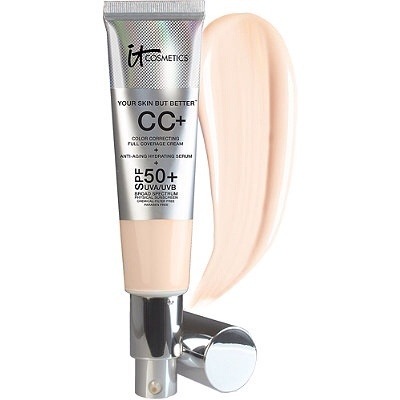 It cosmetics cc cream for natural, Poreless full coverage that’s sweat proof with SPF 50 and dark spot lightening treatment! It’s all natural and paraben and cruelty free! Safer cosmetics for a safer tomorrow!! Over 50,000 cancer survivors and safe cosmetics supporters demanded that Revlon take cancer-causing chemicals out of its makeup. The world’s largest retailer Walmart announced it will no longer sell cosmetics or cleaners made with certain toxic chemicals. Target launched a new standard to promote safer personal care products. The world’s largest consumer products company Procter & Gamble agreed to globally phase out triclosan and DEP. Johnson & Johnson made good on its promise to remove toxic chemicals from its children’s bath products in all the countries where it does business. Congress introduced the Safe Cosmetics and Personal Care Products Act of 2013, groundbreaking legislation that would phase out toxic ingredients and strengthen FDA oversight of the $50 billion cosmetics industry. Your gift today will allow us to continue this exciting and critical work in 2014 so that we can protect the health of consumers and workers by getting dangerous chemicals out of cosmetics and personal care products. We hope you’ll join us in celebrating these victories as we ring in the new year. Cheers to a year of happiness to all of you and even greater successes in 2014! P.S. Your donation today is an investment in a less toxic future. Please give generously.